Energy and Environment's Bruce Napier, an engineer in the Environmental Assessment group, to the U.S. delegation to the United Nations Scientific Committee on the Effects of Atomic Radiation (UNSCEAR). Napier, a recognized expert on radiation in the environment, was invited to join by U.S. Representative, Dr. Julian Preston, and approved by the U.S. State Department. UNSCEAR is one of the major committees of the United Nations, established to collect and evaluate information on the levels and effects of ionizing radiation, used for peaceful as well as military purposes and derived from natural as well as man-made sources. Governments and organizations throughout the world rely on the Committee's estimates as the scientific basis for evaluating radiation risk and for establishing Science in Nuclear Engineering protective measures. Napier holds a Ph.D in Radiological Health Physics and B.S. and M.S. degrees in Nuclear Engineering. 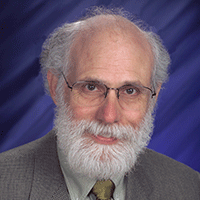 Napier has been with PNNL for 38 years and is a certified health physicist. He primarily focuses on radiation in the environment and works with the development and operation of models concerned with environmental transport of radiological and chemical contaminants. Napier's research has included historical radiation dose reconstruction, safety and risk analysis, radiological pathways assessment, environmental impact assessment, and model, partner, and scenario development. To read more about UNSCEAR, visit their webpage.